Knitting is a lot easier then most people think. It’s really easy to start and you should if you are thinking of it. There are many guides and videos at your disposal. The basic tools you’ll need are some scissors, yarn, needles and some finishing needles. Let’s talk about yarn and needles as there are many types out there. Bamboo needles are what most new knitters start off with. They help with keeping the yarn from sliding off the needle so much and stay a little bit better. After you’ve practiced and get used to the needles you can move on to any finishes or types of needles you want. When looking for yarn to buy, it’s recommended you stick with a medium weight and smooth textured yarn. You can figure out the weight of a yarn by looking at the manufacturer’s tag. 4 is a good number to stick with. The first step is to learn how to cast on. There are quite a few methods to cast on, and you can learn as many as you like. One of the easier methods to learn and most beginners get the hang of quickly is a single cast on. Here is a video of the single cast on. See if you can start off with this and get some stitches on to your needle. Once you learn how to cast on. You are ready to learn how to stitch. There are two types of stitches new knitters should start off with. The knit stitch and the pearl stitch. 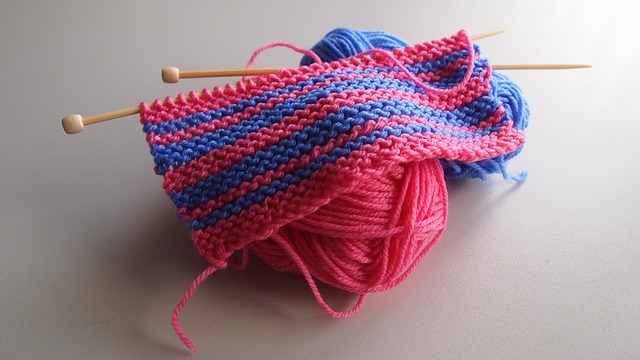 Check out these two videos that show you how to learn these simpler stitch types.